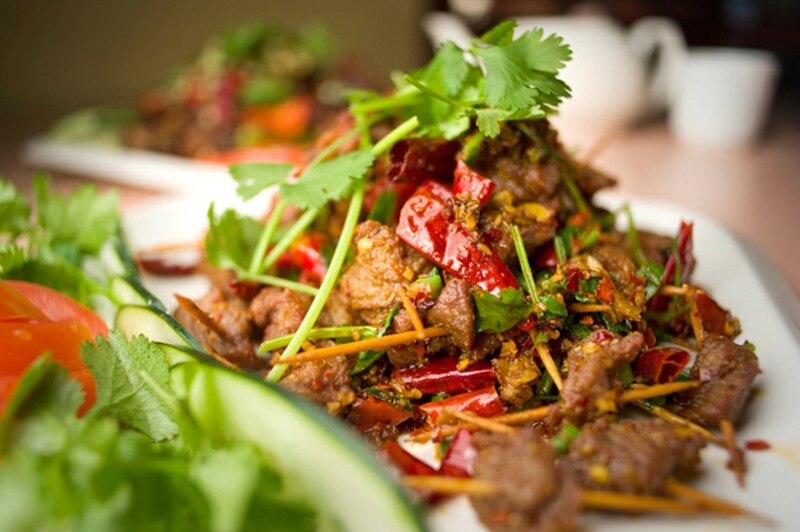 Cumin-spiced "toothpick lamb" at Chengdu Style. 1. Chengdu Style Restaurant (2600 Bancroft Way) is my go-to spot for rustic, home-style Sichuan cooking — a cuisine of fiery-red hot pots and tongue-numbing spice. During my visits, the restaurant has been patronized almost exclusively by Chinese international students, and it’s easy to see why: The food is priced to suit a student budget, and dishes such as the flour-steamed pork ribs and spicy “water-boiled” fish pack a big flavor wallop, and are perfect for family-style dining. If you’re a fan of the Sichuan peppercorn (the citrusy spice that creates the cuisine’s characteristic numbing effect), let your server know — that way the kitchen will know that it has permission to hit you with the full dose. 2. With multiple locations and a food truck to boot, Sunrise Deli (2456 Bancroft Way) is set up to sustain the slow summer months. Still, for my money, the food is a cut above at the Berkeley brick-and-mortar location. My standard, unapologetically decadent order is the Super Falafel, a falafel wrap loaded up with roasted eggplant, potatoes, hummus, and falafel balls — the Middle Eastern answer to a super burrito. 3. 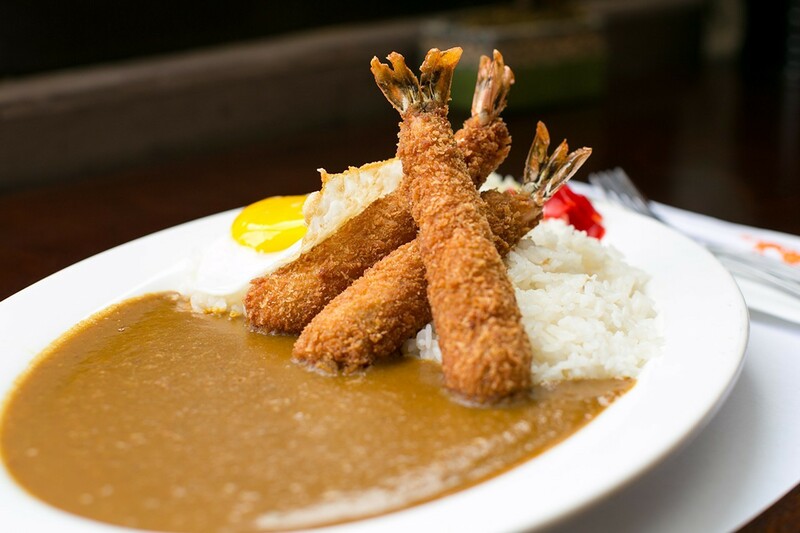 If curry is what you crave, you won’t do much better than Muracci’s Japanese Curry & Grill (2428 Telegraph Ave.), the Berkeley outpost of a family-run San Francisco-based mini-chain. The restaurant’s scratch-made curry sauce is a perfect complement to batter-fried meat and heaping mounds of white rice (see photo at the top of the page). While some might consider a sweat-inducing bowl of curry to be cold-weather fare, I view it as pure comfort food, any time of year. 4. 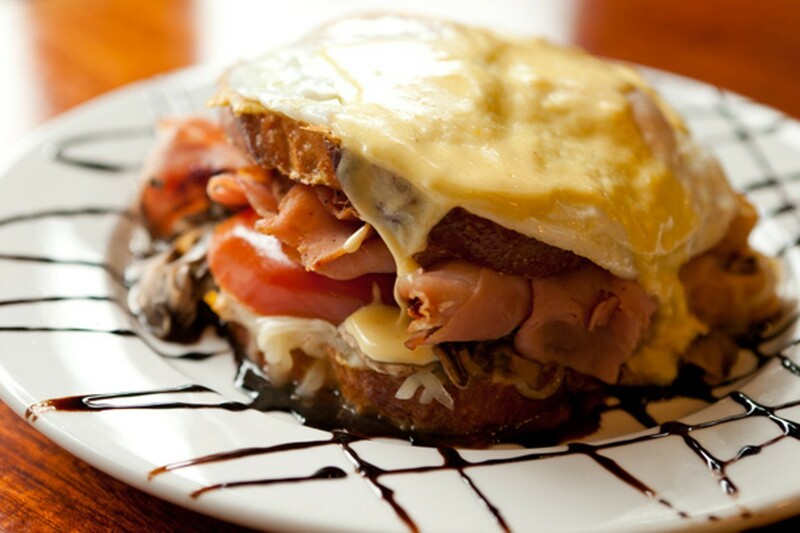 Home to the massive, Hollandaise-topped savory French toast sandwich known as the “Alameda,” Sunny Side Cafe (2136 Oxford St.) is a popular spot among students as well as families with kids. On weekends in particular, the list of seasonal specials — often including even more decadent versions of the Alameda — is worth checking out. 5. Okay, so Great China (2190 Bancroft Way) — arguably the most popular Chinese restaurant in Berkeley — probably isn’t hurting for business, summer break or not. Still, for diners who are averse to long waits, this is a good time to visit when the Northern Chinese specialist is less crowded — especially if you can make it over for weekday lunch. 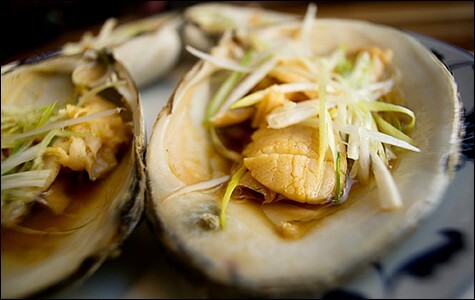 The Peking duck is the showstopper, but I’m also a fan of the fried baby clams and the steamed buns with sautéed Dungeness crab (if you can catch it before the season is over).